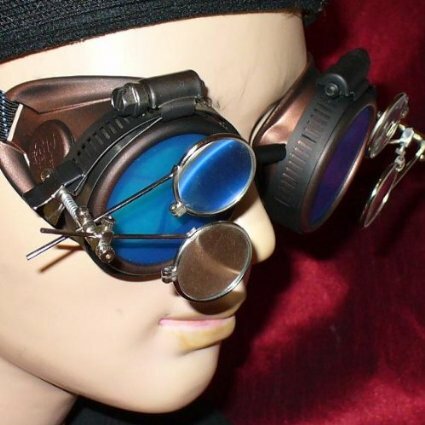 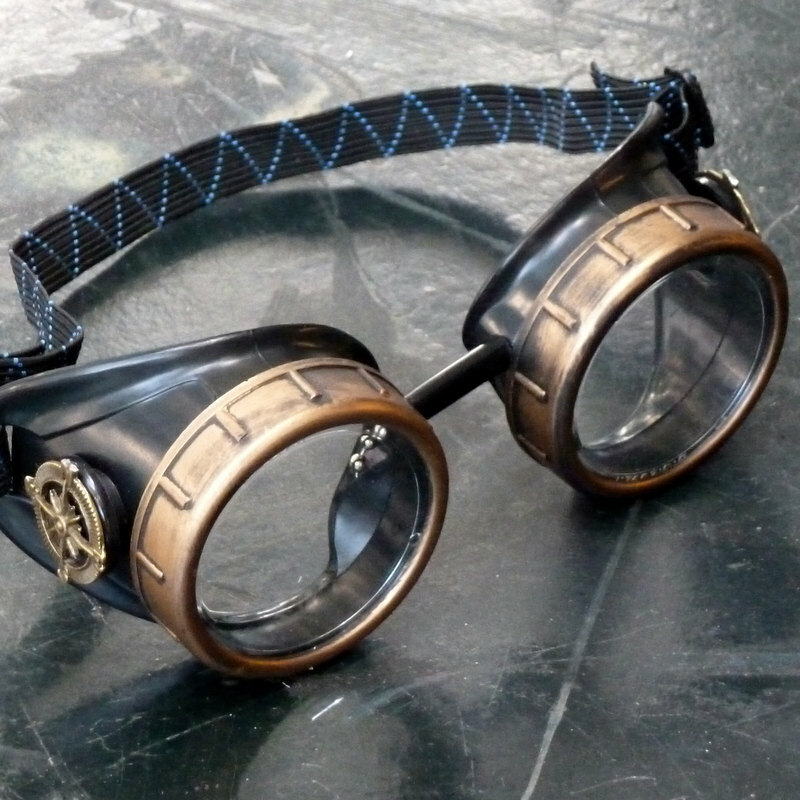 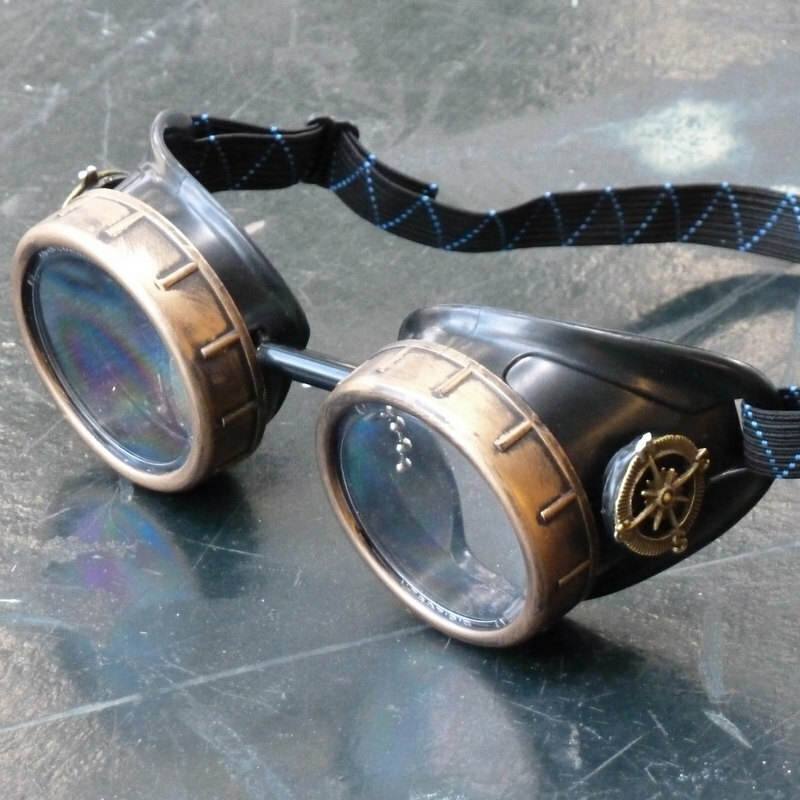 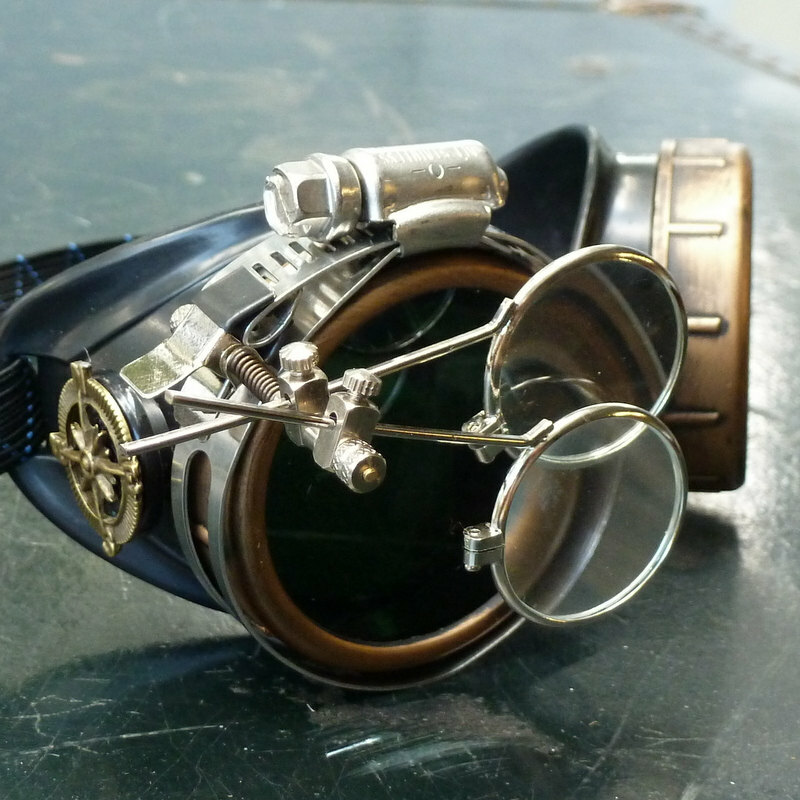 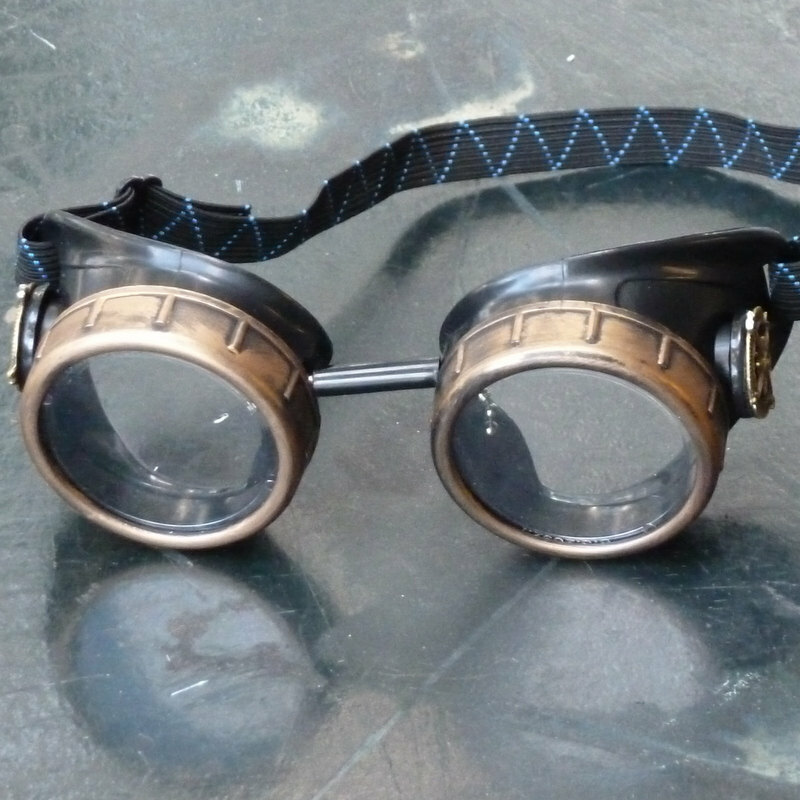 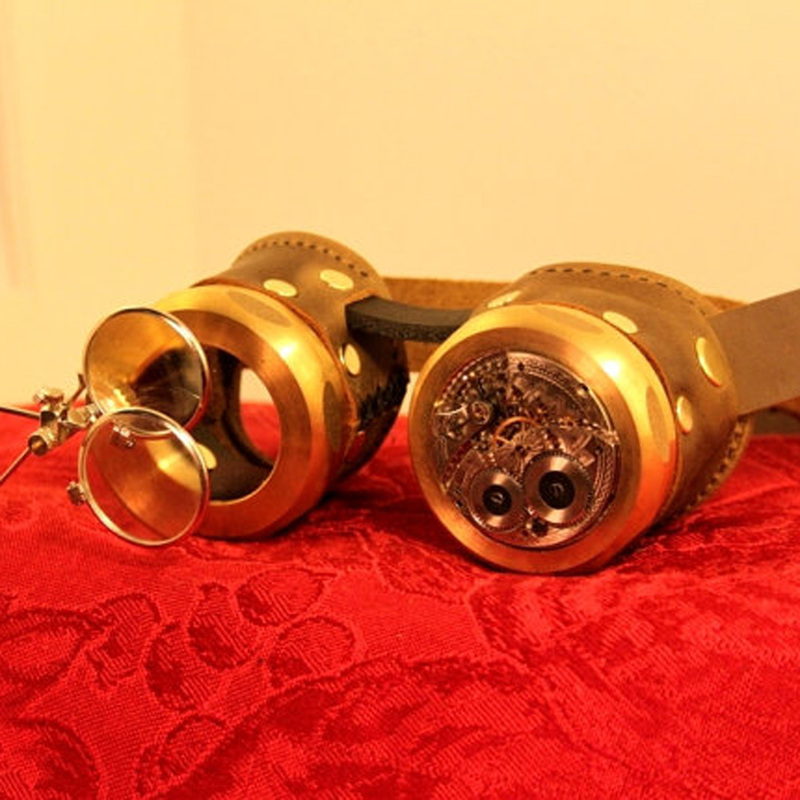 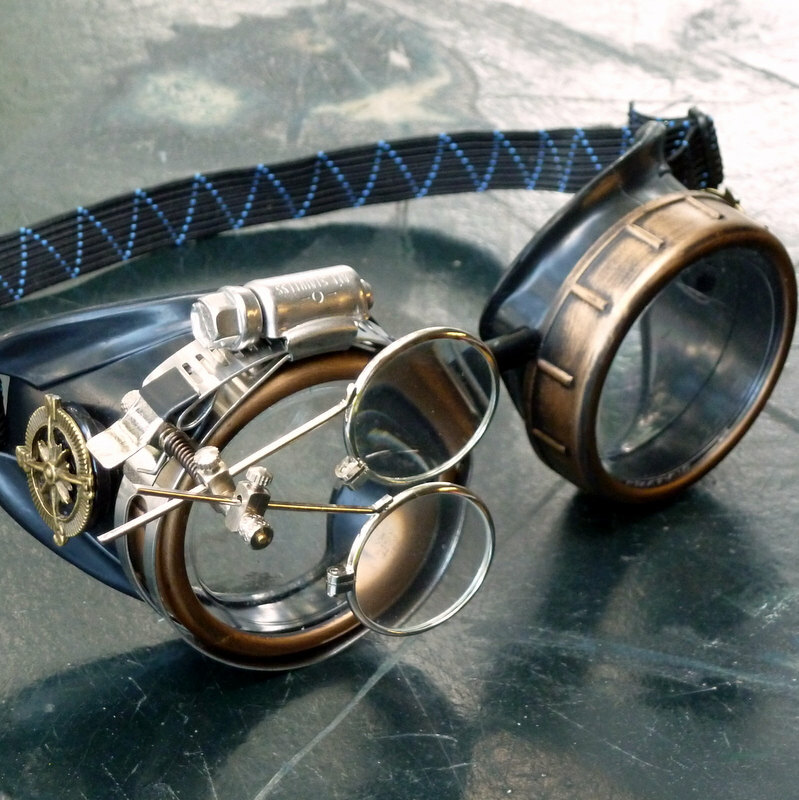 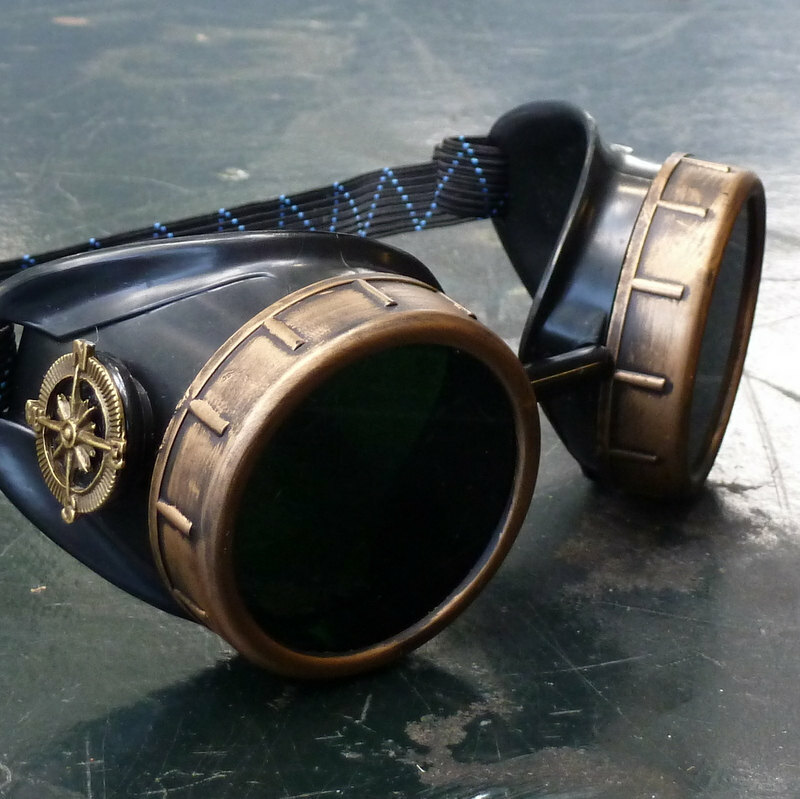 A classic pair of black and bronze goggles with clear lenses and a bright compass design on either side. 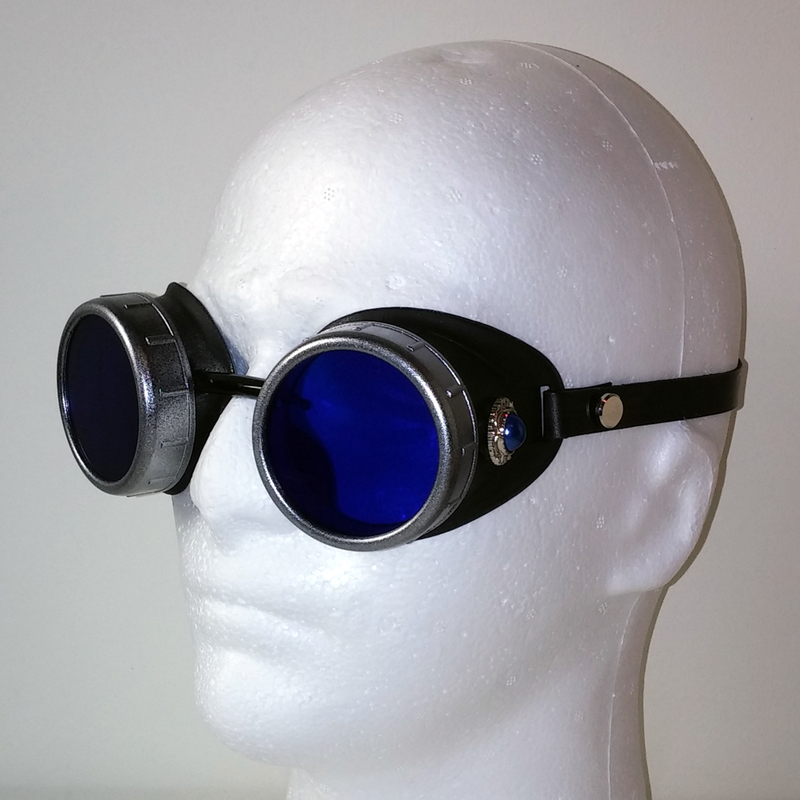 A classic, streamlined look with clear lenses for 100% visibility! 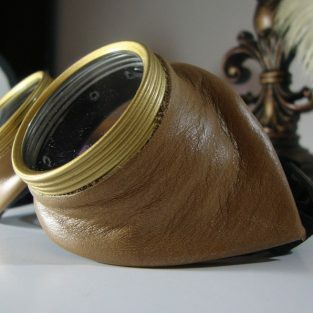 The bronze eye cups are set against a smooth black matte finish and accented by bronze compass designs on either side. 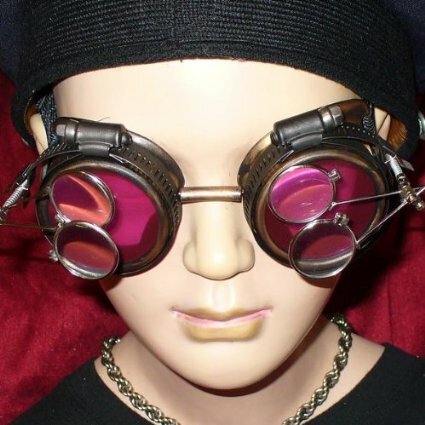 The elastic strap is adjustable for fit and comfort; wear them around your hat, neck, or on your face, these goggles are as versatile as they are comfortable. 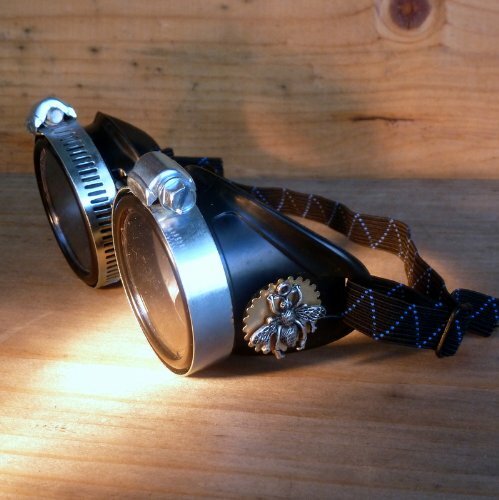 Be the first to review “Classic Black and Bronze Compass Goggles” Click here to cancel reply.